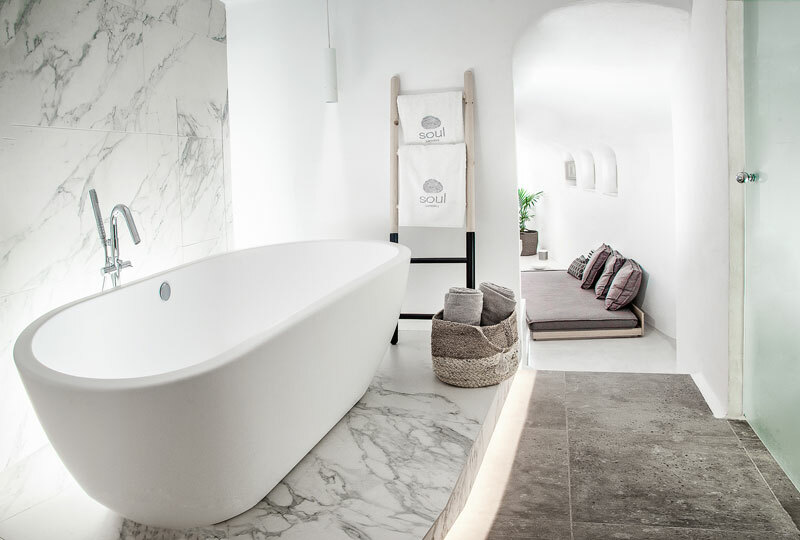 This unique property of 50 m2 total and 25 m2 outdoor premises is an ideal getaway for the couples that love to indulge in the quietness of privacy. 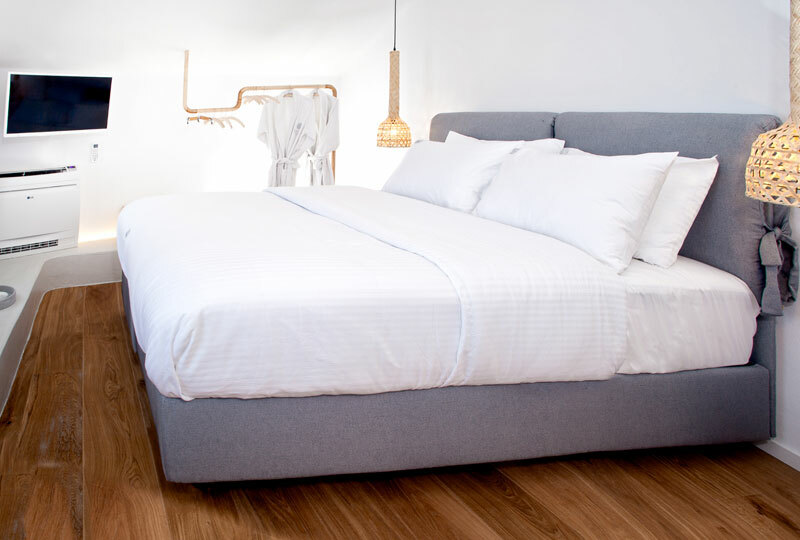 The original Canava, built in 1900 was fully renovated in 2018. 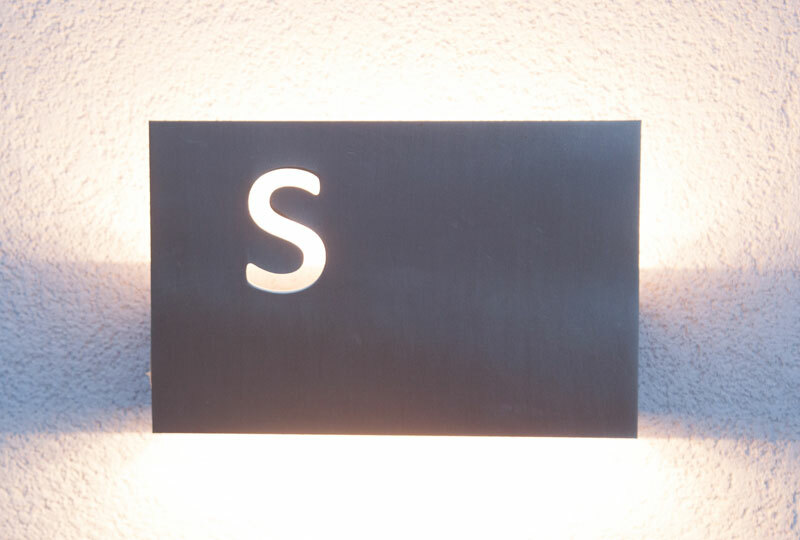 The S Villa offers a minimalistic soothing ambience, that blends wonderfully with the breath-taking views of the villa’s terrace. 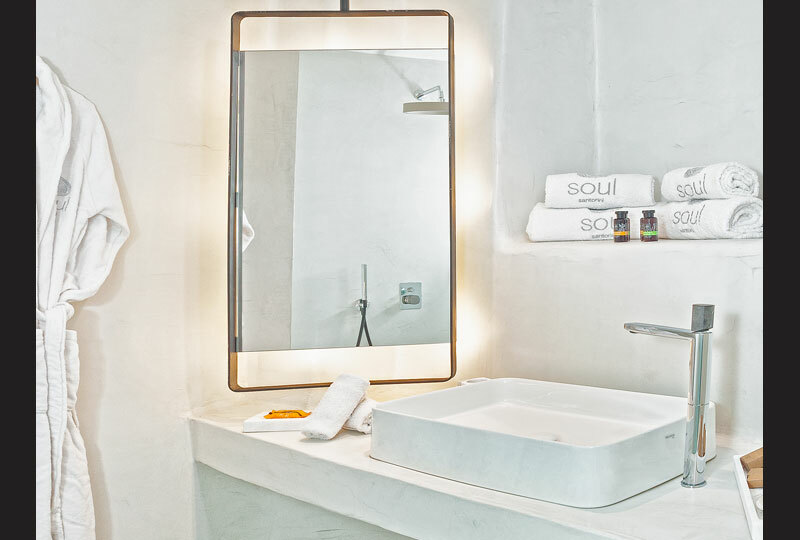 Boasting premium accommodation facilities and services, like the ozone Jacuzzi, the marble bathtub, the impeccable Sonos sound system and the unique quality sleep system; the S Villa is an Avant-guard hospitality gem that combines flawlessly the property’s past with up-to date mastery. 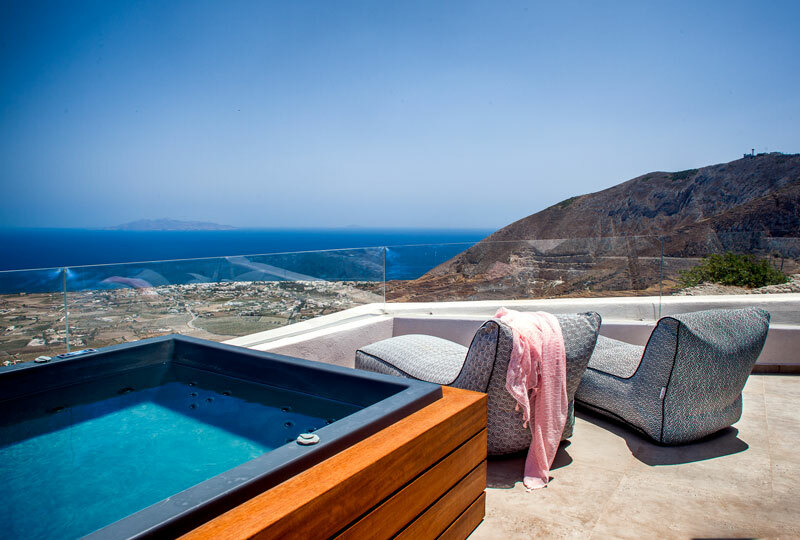 Terrace: on the first floor, a 25 m2 private terrace with amazing views from Kamari to Fira, hosting a 400 litre Jacuzzi with sun loungers, a table for 4 and a fridge. 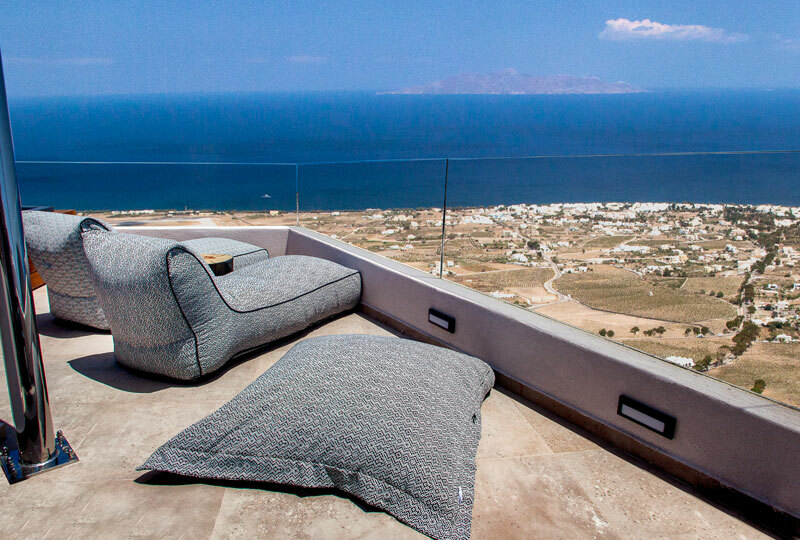 S Villa in Pyrgos, is an outstanding 2 level architectural piece of art, with cosy, inviting and comfortable. Luxurious furnished and fully renovated, this unique Canava features a relaxed living room with kitchenette onthe ground level, an impressivemarble bathtub area and a spacious bedroom with a spectacular terrace with a view on the upper floor. 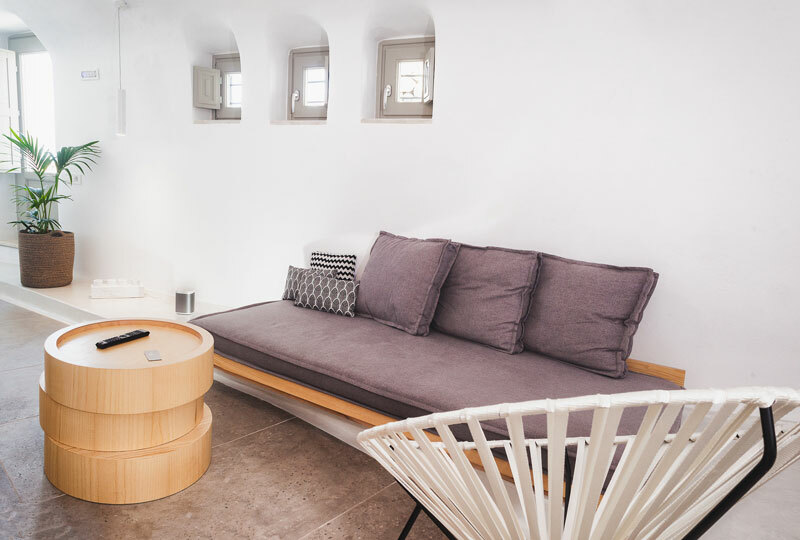 On the Ground Floor, S Villa features a fully equipped kitchenette, so charming and easy to navigate. 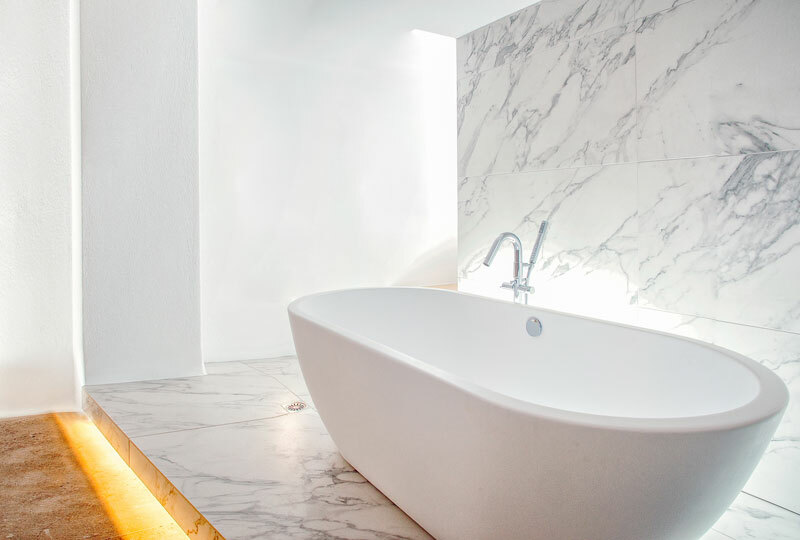 The elegant living room with a sofa and the 40 inch 4k TV are also on the ground floor,as well as the divine marble bathtub and shower area; a luxurious spa-minded space dedicated to the relaxation of the body and the soul. 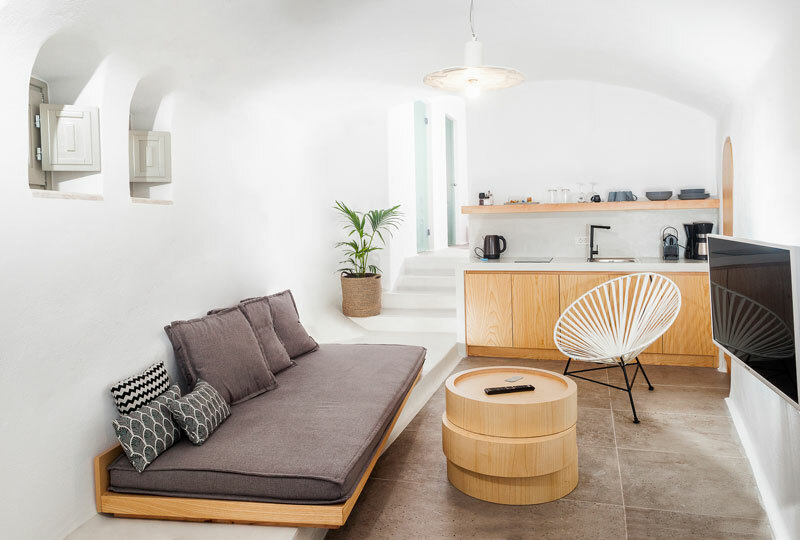 On the First Floor the S Villa of Santorini Soul boasts a serene, spacious bedroom, air-conditioned, with a double bed with a mattress designed for a unique sleeping experience. 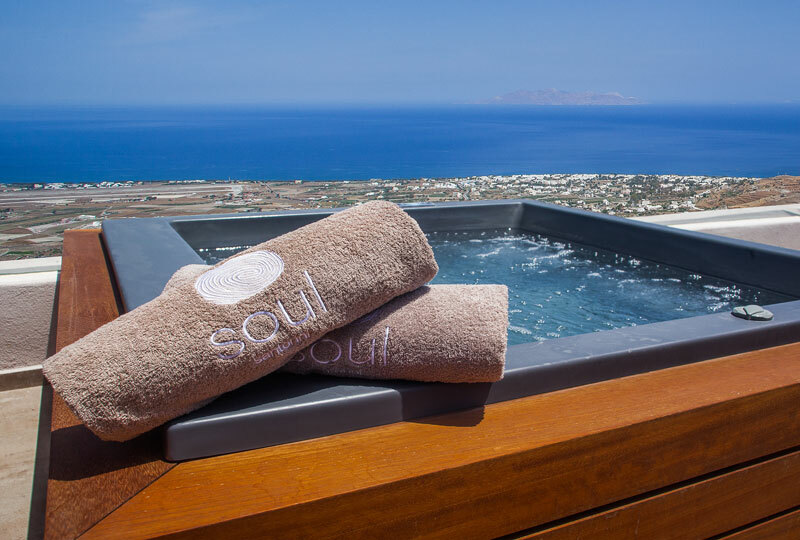 The bedroom leads to an exquisite terrace, with sunbeds, fridge and a 400 lt Jacuzzi overlooking the breath-taking beauty of the island. 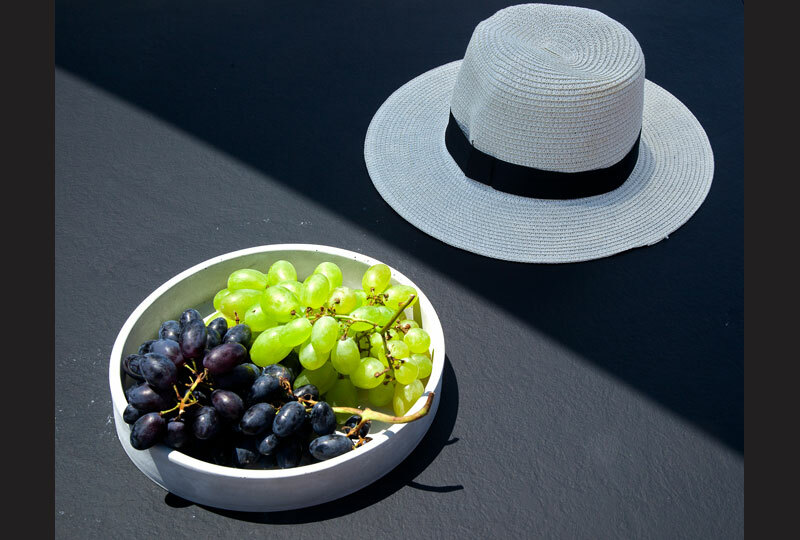 The terrace is designed to provide ultimate leisure to the villa’s guests; Spacious, well protected in privacy and with wonderful views, it inspires the guests to connect with the island and the revitalizing Cycladic light.